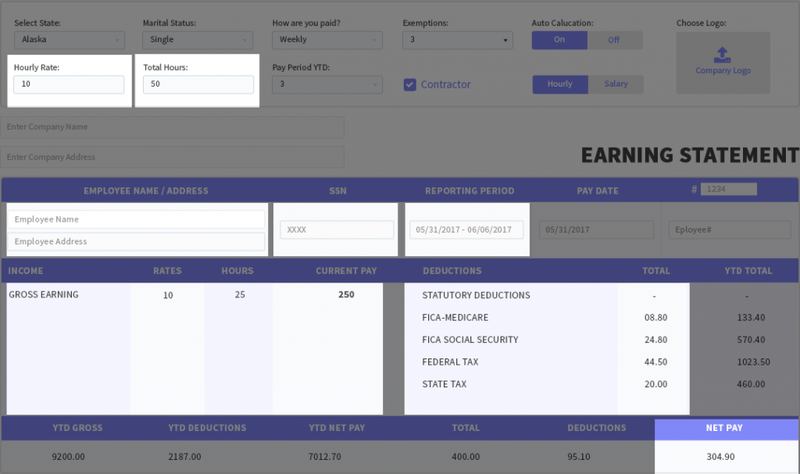 With the ease of available tool, anyone can create a pay stub in no time. As you already know, a paycheck is not just a piece of information passed by the employer to employee. It is a legal piece of data which is verified for activities like credit requests, taxation and more. Did you ever think if your real check stub can cause you a penalty in anyways? You should be aware of fake pay stubs and the risk it leverages to your career. Recommended Read: Fake Paystubs – Will you take the risk? Carrying forward to one of such risk is PAGA Liability, what is it? Here is an example of a free paystub template which consists of all required details, as required above. What if an employer fails to provide this? Failing to provide this required information to employees on wage statement is “knowing and intentional” and then the employee is entitled to recover (1) the greater of all actual damages or fifty dollars ($50) for the initial pay period in which a violation occurs, and (2) one hundred dollars ($100) per employee for each violation in a subsequent pay period, not to exceed an aggregate penalty of four thousand dollars ($4,000). See Labor Code§226(e). In addition, the employee is entitled to an award of costs and reasonable attorney’s fees. Looking another way, if an employer inadvertently hands out paystubs that the employer does not realize are missing information, the court will still find a way to hold the employer liable, this time not for violating Labor Code§226 but for violating PAGA. These penalties are something you cannot escape from. We have a recent example to show you when California Employers Faced Significant Penalties for Pay Stub Violations. When you can make pay stubs for Free, why to leave any chances for penalties. It is no more a hectic process but enter, preview and pay. If you are penalized, the reputation of your firm will be compromised and no employer will ever wish to witness such a day. You have both ways to create paystubs, traditional and online and you are smart enough to choose the one which benefits your business. This will eliminate the chances of accidental violations itself and will, in turn, create an impression of a valuable return for your employees. How your paystub format should be? Did you realize that inappropriate pay stub data can bring..